We are now proud to offer the most sought after and difficult mail to make. Identical to our butted mail except for the fact that each link is riveted and dipped in zinc to prevent rust. 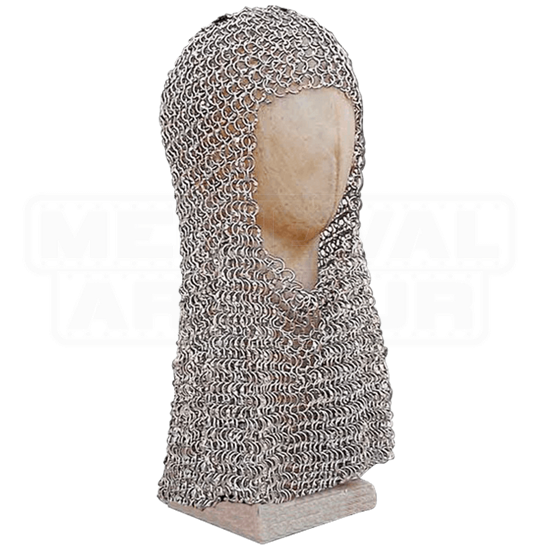 This Riveted Steel Mail Coif matches our Riveted Steel Mail Shirt which is Item ED9324. 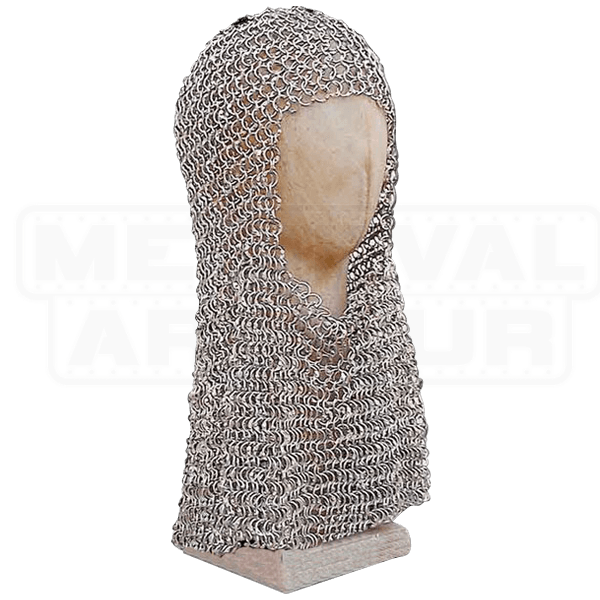 Each incredible chainmail coif is painstakingly and skillfully created by hand using 7/16 inner diameter rings. Our craftsman use the most popular European style called 4 into 1. Each circular link intersects with four others, to form a continuous blanket of metal ring protection. Like the originals the wire for our steel chain mail is traditional mild steel, which tends to bend when struck, absorbing the blow, rather than shattering, as hardened steels do.